Meet Stefanie Tong. She was one of our panelists at the Panel Mixer this past May. Stefanie is a wife, mom, and early childhood educator. Her upcoming book Chasing Light is a memoir about finding hope through the loss of miscarriage. Between graphic design, writing, dancing, photography, and playdough messes, there’s always a creative process happening in her home. Connect with Stefanie online at www.stefanie.ca. After the Panel Mixer in May, I emailed Stef and asked her if she’d be willing to write a guest post for us. During the panel discussion Stef had mentioned a couple parts of her story that I wanted to know so much more about and thought they would be valuable for our community. For one, she has recently completed the book publishing process and will soon release Chasing Light – sharing her story of miscarriages. Second, she had stepped up to lead a small group at her church serving parents who have struggled with miscarriage and infertility. She wasn’t too keen to do this and I think we can all relate to that feeling of saying ‘not now’ or ‘not me’ to a call from God. But she still did it. The value of serving right where we are with the exact story we are living out cannot be underestimated. There is a time for every season and there is a way for us to serve one another in all of them. Ladies, we need to be women who step up, when it’s scary or inconvenient or filled with grief. 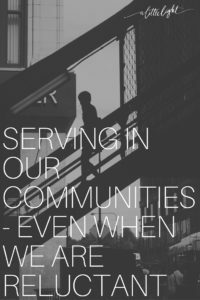 Our communities need us, in real life, and I’m so proud to share this post from Stef on what happened when she stepped up to serve with her story, against her own reluctance. He (God) had told me to share my story, to tell others about our miscarriage, and that my story was meant to be public. I’m sure I stopped breathing at that point because the thought of sharing my story paralyzed me. God was telling me – not asking or inviting, but commanding me – to tell people about my miscarriage. I said, “No thanks, God. 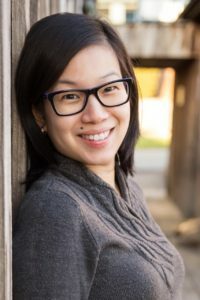 You can go ask someone else, because I’m pretty sure You have the wrong person.” – Excerpt from Chasing Light, upcoming memoir by Stefanie Tong. When I was a professional dancer, God called me to share the gospel through hip hop music and movement. I said, “Sure God, sign me up.” I began recruiting and training dancers, booking performances and workshops at churches, and found ways to bring His light into public schools. Dance was familiar, comfortable, and an easy way for me to serve my community. God allowed me to use my strengths to share with those around me. My mind, spirit, and body agreed that serving through dance felt right. Fast forward ten years to the most devastating time in my life – the loss of my babies – and that was when I felt that strong Holy Spirit conviction again to pour out into the community. The conviction to support those at my church going through pregnancy loss only grew stronger the more I tried to resist God’s calling. After talking to my pastor, she mentioned that pregnancy loss was happening in our community about once per week. It broke my heart to hear that this was the statistic at my church alone. In the rawness of my grief, God kept nudging me to start a support group at my church for pregnancy loss, infant loss, and infertility. My mind, spirit, and body were not in alignment. 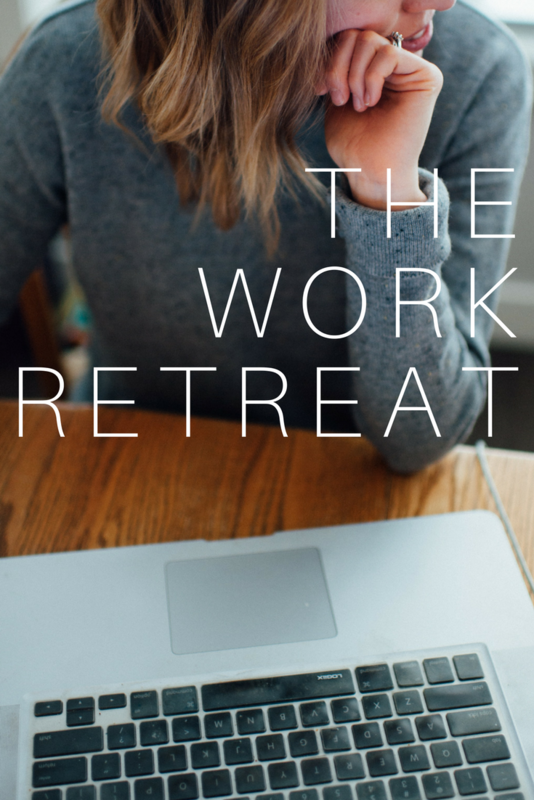 My mind knew this group was needed, my spirit was wrestling with God, and my body was completely resistant to start a ministry around such a heartbreaking and traumatic experience in people’s lives. I realized I could only say no to God for so long before I was being outright disobedient. Imagine a parent asking a child to go clean his or her room and this child responds by lying on the floor crying. That child was me. I was terrified at the task, but God reached out for me, helped me off the ground, wiped my tears, put His hand at my back, and slowly helped me move forward with what He had asked of me. In my mind, I had to get the word out about this new ministry, create materials or guidelines for the group, offer prayer support, be available if people wanted to meet up outside of group time, the list went on. However, God didn’t ask those things of me. He asked me to show up and be available. He asked me to be obedient. He was asking me to say yes. When I said yes, God took care of the rest. There was pastoral support, a quiet space for the group to meet, moms and dads showed up, and for the most part, the group ran itself and meetings flowed without requiring much facilitating. The first few meetings consisted of members from my church community, and by the third and fourth meetings, parents from other churches began attending. 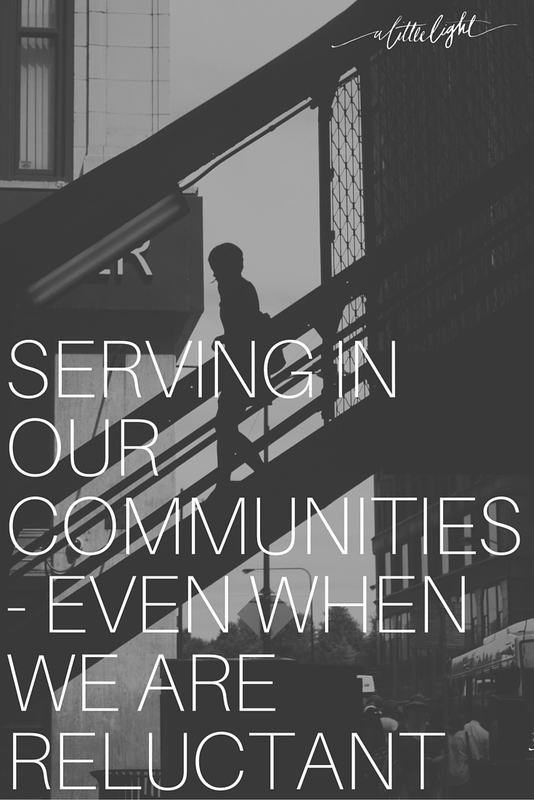 I never expected to be serving my community through what I deem as the most difficult time in my life. Though I am a part of many pregnancy loss networks online, there is something powerful about meeting in person and serving in person. You have the opportunity sit with one another, share, and hold each other’s hearts because in a ministry like this, it is extremely difficult to hold the emotions on your own. During a time I felt completely empty and unable to pour out, my ears were still inclined to heaven. As a human, I made it such a big deal, that I had to do so much when I thought I couldn’t. God wasn’t asking me to do anything at all. He was just asking me for me, to offer myself. No matter what season you are in, I believe God wants to use you, whether you come willingly, or resist with tears flowing down your cheeks. All He wants is you. He may call you to serve your congregation, or He may call you to serve one person. There will be seasons of serving with your gifts, feeling fully equip and there will be seasons of serving from your knees with your hands wide open. In every season, your Heavenly Father will be there to help you off the ground, and gently guide you towards making great impact for the Kingdom.